Rocking out in a crazy new party! 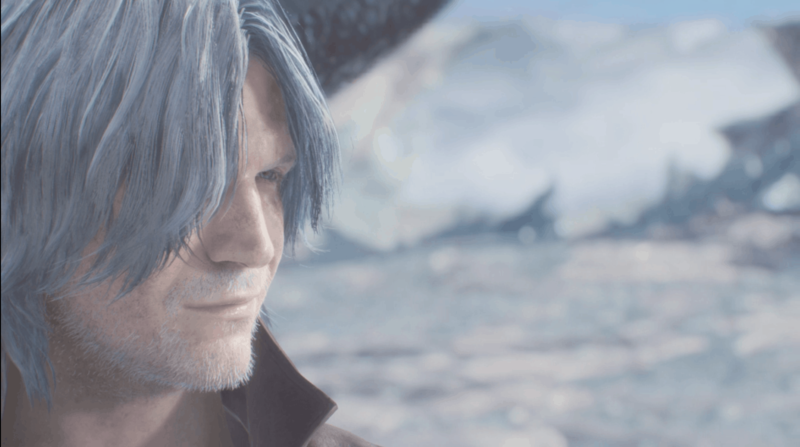 With only a one-off alternate storyline and a slew of high definition remasters, it's been some time since Devil May Cry's eponymous demon hunting crew has received a call. 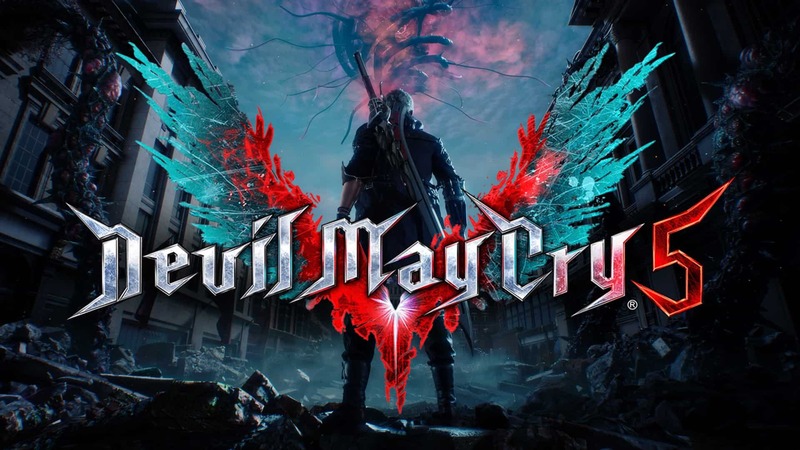 Back under the directorship of Hideaki Itsuno, Dante and his companions take to Red Grave City to get to the roots of the demonic plight sapping the lifeblood of the populace. Style alone might not be enough to get the job done. 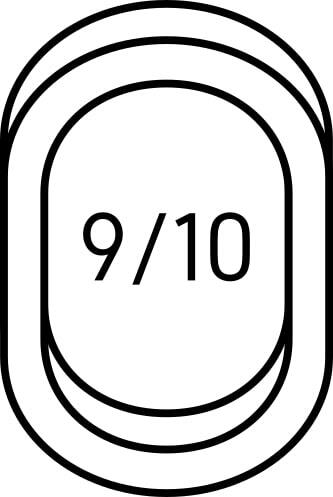 The series' signature spectacle combat returns without straying far from the established core. With sword flurries, gunfire, and banterful wit, the denizens of the underworld are keen to turn their spongy bodies into Style Point and Red Orb pinatas. Generous enemy health bars allow for ample combo opportunity but are balanced well so that they don't feel overly gratuitous. Avoiding damage and keeping up the offensive will raise the Style Ranking, elevating the intensity of the battle music and seamlessly adding in the vocal track. The audio cue acts as a fantastic gameplay loop to communicate that the player is performing well or that a hit has been taken without causing screen flash or other forms of visual clutter. The game does well to keep it easy to watch both the player character's flashy moves and spot when enemies posture for counterattacks. 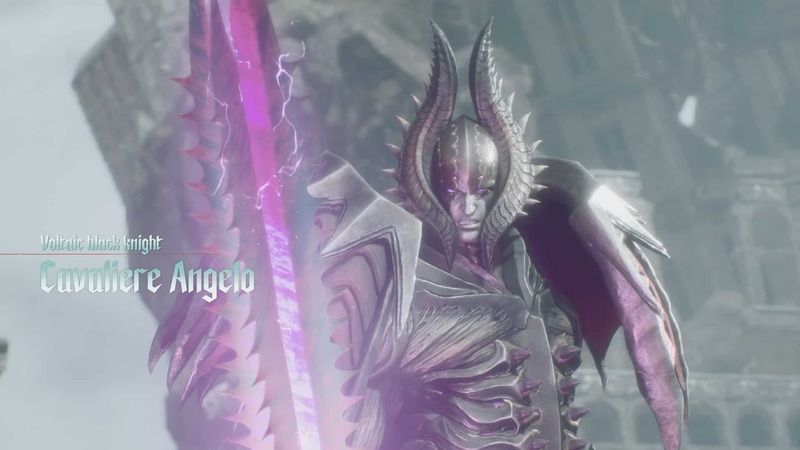 With his initial introduction in Devil May Cry 4, Nero's combat fundamentals were easy to pick up, but many felt his limited movepool and middling mobility made him heavily outshone by series stable Dante. The developers seem to have taken these critiques and given him a number of tools to go with his fresh new look. Multiple new sword abilities are available for purchase with Red Orbs. 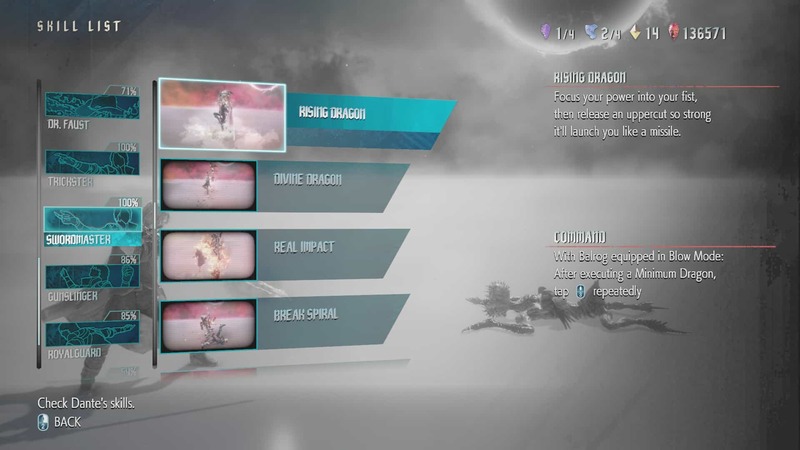 These abilities focus heavily on providing Nero rapid displacement allowing him to move about the arena in a much more fluid and dynamic manner than before. Some even give brief periods of super armor, preventing hitstun from occurring. Complimenting his sword moves is a revamped Charged Shot for his Blue Rose revolver that tends to keep enemies stunned in place, allowing for more follow-up than the old Color Up charged shot mechanic that knocks them away. With his returned timing-based sword Ignition skill that boosts attack power, the added attacks gain various new properties and animation motions that look and feel great as Nero unleashes a fiery onslaught. Adding to Nero's strengthened base mechanics, an arsenal of robotic arms known as Devil Breakers replace his lost Devil Bringer. Each breaker offers very unique functions, such as Gerbera's disruptive blast that can also act as aerial propulsion for Nero, Ragtime's slowing time field, or Overture's more rudimentary brute strength electric burst. Each one feels powerful and unique enough that it's always great to obtain a new type and take it out for a test run. 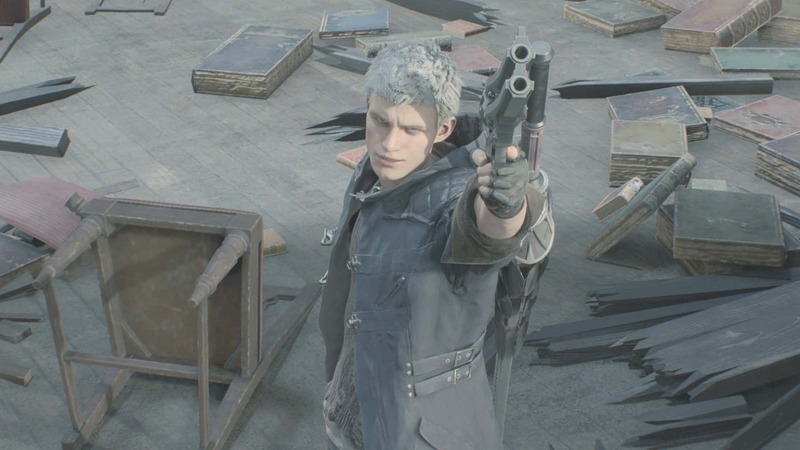 Balance is decently maintained between the various arms by having it so that receiving damage while a Devil Breaker effect is occurring will cause it to become broken and discarded, with Nero only able to carry a small magazine of replacements. Nero can also willingly destroy one of his Devil Breakers by unleashing a powerful charged move or to initiate a self-destruct that provides some precious invincibility frames. Nero has ultimately come far as a character with a much-welcomed increase to his skill ceiling and removing the feeling that he's just a neutered version of Dante. Dante maintains his style dancing and is the walking arsenal of weaponry everyone's come to know him for. The styles themselves remain the same as seen in the previous iteration, offering Dante an extended set of actions related to the onechosen. Switching between styles is key to utilizing Dante and is very intuitive since they can be switched during essentially any other action. Much of the complexity and optimization comes from using the Gunslinger and Swordmaster styles as Dante gains new weapons. Both styles have an entire set of unique moves depending on the ranged or melee weapon equipped, respectively. Much like the styles, weapons can be switched on the fly and canceled into other weapon's moves. Combined with the defensive capabilities of the Trickster and Royal Guard styles, Dante has an absurd number of options at any given time that allows for near-limitless free-form combo potential. It becomes nigh overwhelming from both dexterity and mental standpoints to pull off ridiculous combos, but the satisfaction of testing things out through gameplay or the combo practice “Void” is something to behold. 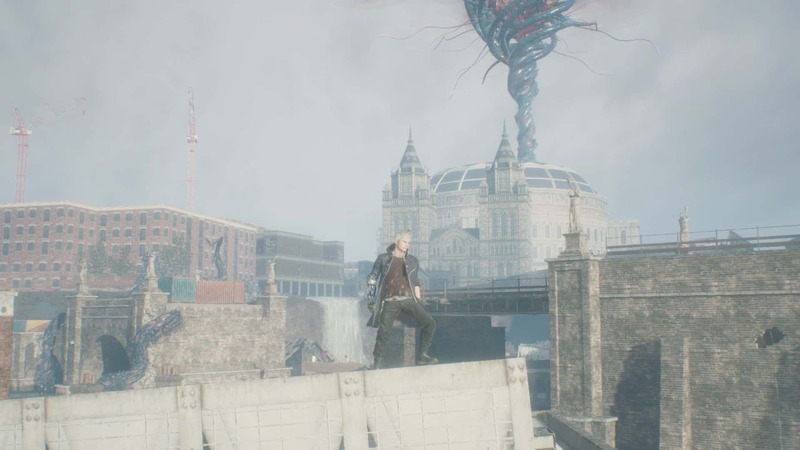 The character referred to simply as “V” not only convinced Devil May Cry to take on the demonic threat but also joins as a new playable character with a very unique fighting archetype for the series. With a frail frame and a tendency towards waxing poetic, V prefers that others get physical in his stead. Summoning his demonic familiars Griffon and the feline Shadow, attacks are performed very much like Nero and Dante. Two key differences are separating V from the others. The first being that the familiars can only weaken enemies, requiring V to move in and land the finishing blow with his cane. Secondly, they will move mostly of their free will with only some movement manipulation being available by dodging or through certain input attack commands. It's a unique experience, and the pet AI is generally okay, but sometimes it will make odd movements or not move to get in range at all. Attack command inputs do not feel anywhere as tight as they do with Nero or Dante, making it seem like sometimes certain inputs get dropped and make the pets do unintended attacks. 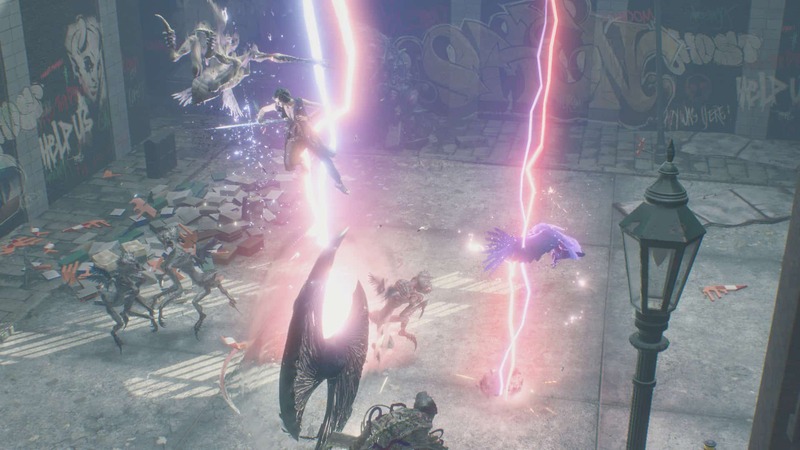 V's gameplay overall emphasizes spending Devil Trigger charges to either summon the lumbering golem Nightmare or to power up the other two pets with increased overall combat capabilities and automating their initiation of actions. 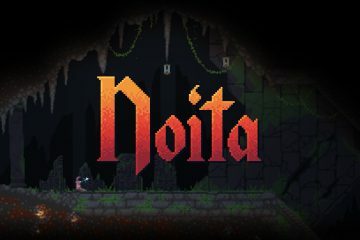 While an interesting concept, playing a character that has to hang back and rely on pets felt disconnecting and was much less enjoyable than when playing the others. At first take, the character's movesets are very basic. Through the story and spending of Red Orbs picked up in levels, each character's movelist and options expand substantially from their base set. These new abilities are obtainable at a good rate that allows one to get acquainted with the new moves, but also not letting things get stale. Plenty of demonic forces inhabit the cityscape of Red Grave in the face of the looming demonic infestation. Individually pretty weak, the rank and file demons rely more on overwhelming with numbers. Enemy encounters have been well balanced to make a variety of compositions that keep combat from getting stale. Replaying the game on higher difficulties will change up the encounters even further, reducing the repetitiveness and avoiding applying a general hitpoint and damage increase to demons. 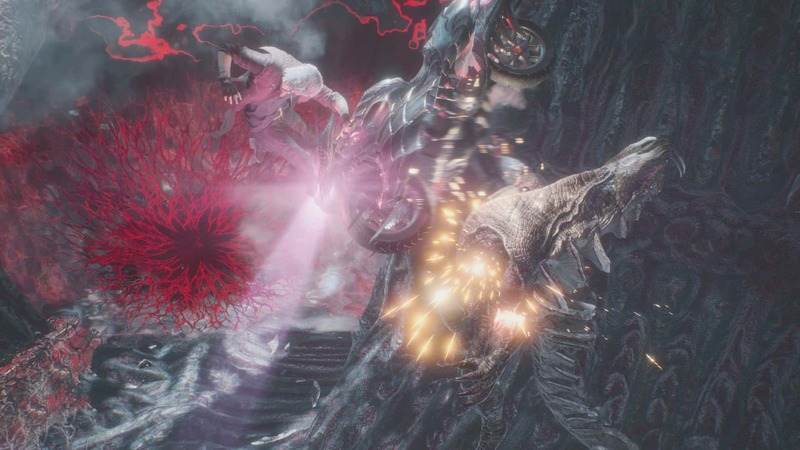 Above the grunts, the majority of the numerous bosses throughout the game offer fantastic fights. 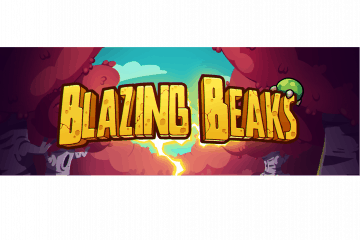 All that has been learned throughout the game about maneuvering and using the various tools gets put to the test in these lengthy and challenging boss fights. A minor but welcome touch is that the game keeps hand holding or otherwise directing the player on what to do against certain monsters or bosses to an absolute minimum. The lack of direction works to encourage really observing the attack patterns and testing to see what gets the best results. A couple of the bosses end up having very few mechanics to deal with and exist mostly as glorified punching bags, but the remainder provides great gameplay and visual spectacle. The primary detraction of the game would have to be the environments. For a game with incredible character modeling and superb animations, the environments are a sharp contrast. Red Grave City offers little for sightseeing and is mostly a cityscape bereft of noteworthy landmarks. The constant grays and browns all begin to blend together, making it difficult to get a true sense of traversing through a city. Similarly, the demonic world does little more than add some eerie reds and select sections of lava as indistinguishable corridors are walked through. Level design ends up being very linear in general, rarely if ever giving a reason to explore or backtrack far off the intended path for the game's hidden collectibles. Thankfully, the melodramatic cutscenes and frequent combat encounters do well to draw attention away from this.